Uniquely, visitors to Surface Gallery this month will have the opportunity to see an exhibition of photographic studies from the country’s only science-based visual arts course. 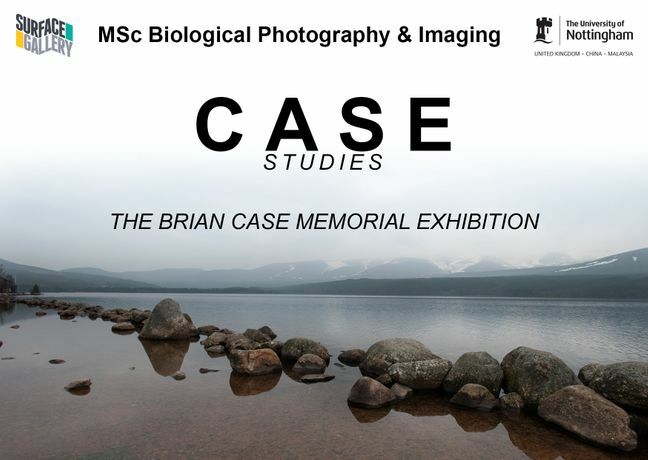 Thirteen postgraduates have been selected to explore the natural world in this exhibition by The University of Nottingham’s Biological Photography and Imaging Department. Themes of time, shape, colour and abstraction have guided the artists, and will afford visitors the space to enjoy their own adventures through awe-inspiring landscapes and the wonders of our natural world. This showcase is dedicated to Professor Brian Case, who launched the course fifteen years ago alongside the current Director of Photography, David McMahon. The course offers students of traditional science-based courses access to creative training and visual communication in photography, video, microscopy and design. This interdisciplinary approach has enabled students to pursue careers in wildlife photography and filming, scientific research, medical imaging, conservation and many other fields. The Private View will be held on Monday 25th May, 6.00-8.00, where the public are invited to join the staff and students of the course, as well as a guest speaker. Local ales will be served by Springhead. Case Studies will open in our top-floor Project Space, and will run in conjunction with Fifth Wall: the NTU Photography Festival, to be held in our main gallery.